A platform that refactors the way you process information when dining. Yelp is great for restaurant discovery but there is disconnect once you’re at the restaurant. We want to make information processing more efficient and ultimately refactor the way you make decisions when dining. When you enter a new restaurant, how do you figure out what to eat? Sure you can pull out your phone and use Yelp to read all the reviews and look through all the unorganized pictures. After this, you’ll be even more confused as to what to order and if you’re already at the restaurant, you don’t have time for this. Guchi presents the 10 most trending dishes for your restaurant with organized images for each dish. Within seconds, you’ll know exactly what to order. Search for a restaurant and receive the top dishes from there. 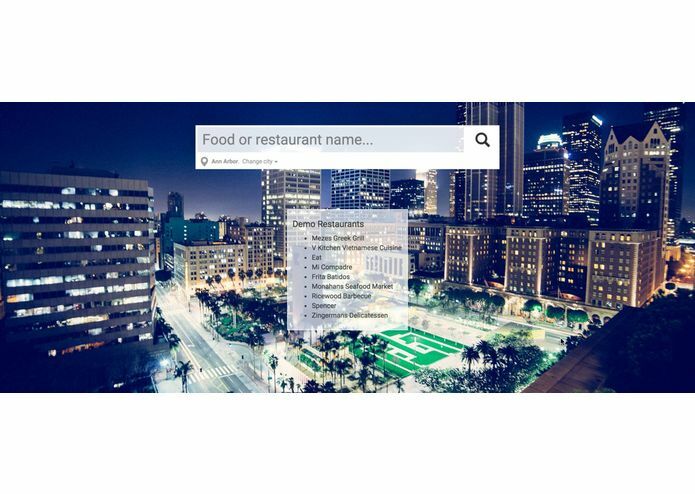 Search by food and receive the best restaurants that offer your dish in your city. Our data is from Yelp, Open Table, Google Reviews and Zomato. Our algorithm is a network of two neural networks. The first uses natural processing techniques to extract all the food words in the reviews. This doesn’t use a dictionary or lookup, but truly understands the concept of food. So we’re able to capture things like misspelled foods, foreign dishes, and local vernacular. We also wanted to supplement each dish with pictures of that dish from that restaurant. A major issue is that most yelp photos do not have descriptions. So, we use another network for image classification. Since the dishes are very similar since they are from the same restaurant, we are easily able to identify what dish is on the picture. We use both these channels to deliver top 10 dishes with vibrant images for each dish from that restaurant. Our front end consists of a mobile (ionic framework 2, angular 2 beta) and web based rendition. Both platforms interact with a RESTful API which contains processed data from a recurrent neural network and a convolutional neural network. Having to work on three parts of the platform (web, mobile, RESTful API from neural network) in parallel was extremely difficult but it was rewarding to see it all come together with relatively few issues, since we were in communication about integration of our individual components from the get go. We created a platform that actually changes the way on how we decide what to eat at restaurants. We no longer rely on impulse or have to deal with unordered information from review services. We all learned different things that were out of comfort zone. A few of the highlights include learning the new Angular 2, integration with Twilio and Firebase, and building a RESTful API from the results of a neural network. Integration with a major review service to allow them to continue interaction with the diners beyond just the restaurant discovery point. Even though we are accelerating the information processing stage by folds, we used Twilio to make it even faster. 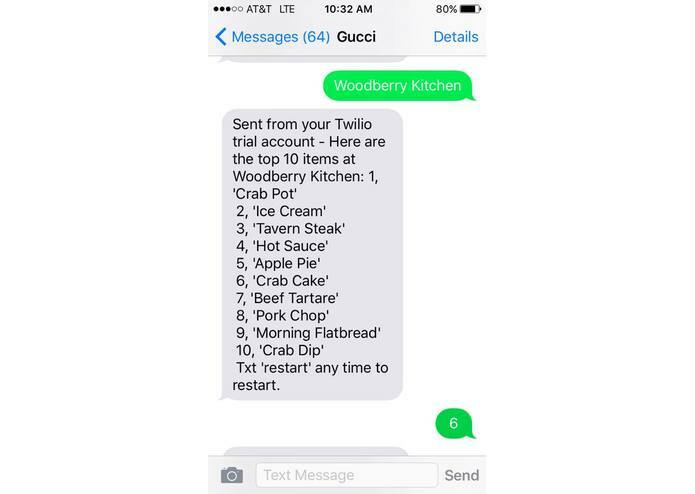 If you’re really in a rush, all you need to do is text the restaurant name to our Twilio number and you’ll receive a list of trending dishes to order. We have also added features to search by food and city as well to receive quick text updates with the appropriate information. We process all of this information using Firebase for lightning fast response and storage of users requests to better accommodate to their specific requests for subsequent searches. There are some mistakes in life we just can’t afford to make and ordering the mediocre dish at a restaurant is one of them. For decades we have been going off of impulses or relying on dumps of information on restaurant review platforms to decide what to eat. But it’s time to change the way we process information. For any restaurant, Guchi reads all the reviews and parses through all the images (including one’s with no description) in order to give you the top 10 dishes with images from that restaurant for that dish. You’ll know exactly what to order within seconds of using Guchi and you can spend the time on more important things. How many times have you have an amazing travel plan ruined by a bad dining experience. With Guchi, you’ll be better than the natives when it comes to ordering the best dishes at the restaurants. If you’re at the new restaurant, you can view the trending dishes with images. 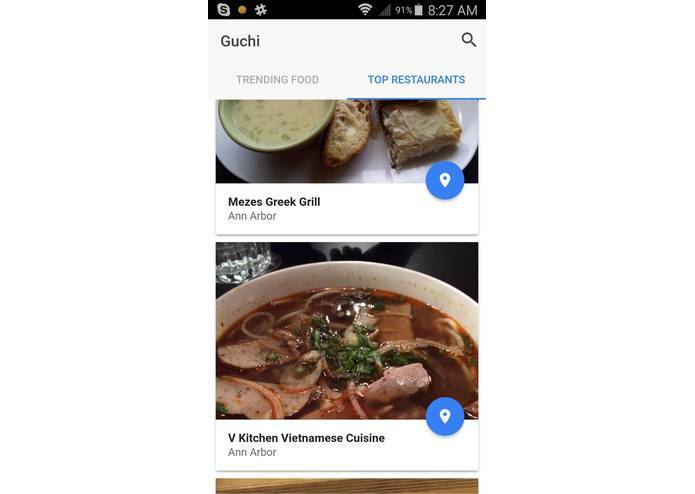 Or if you know what you’re craving, you can search for the food and Guchi will tell you exactly where to go to get the best. Concept Oriented Deep Learning Algorithm Development and Deployment into restFUL API for web, mobile and twilio renditions. Built the android app, contrib to design of desktop app, and helped with architectural decisions. We set up a Twilio response system that uses Firebase! Text Guchi on (407) 603-0351 now!